Pizza Hut, Taman Maluri, Kuala Lumpur, Malaysia. Just like normal Sunday, we will head out for lunch especially whenever I am back in KL. It is more convenient for me to settle my lunch outside and get prepared to leave for Singapore. One of the choices is the Pizza Hut. We ordered the set lunch for two persons which consists of a bowl of spaghetti, a pan pizza, a side dish and two mushroom soups. 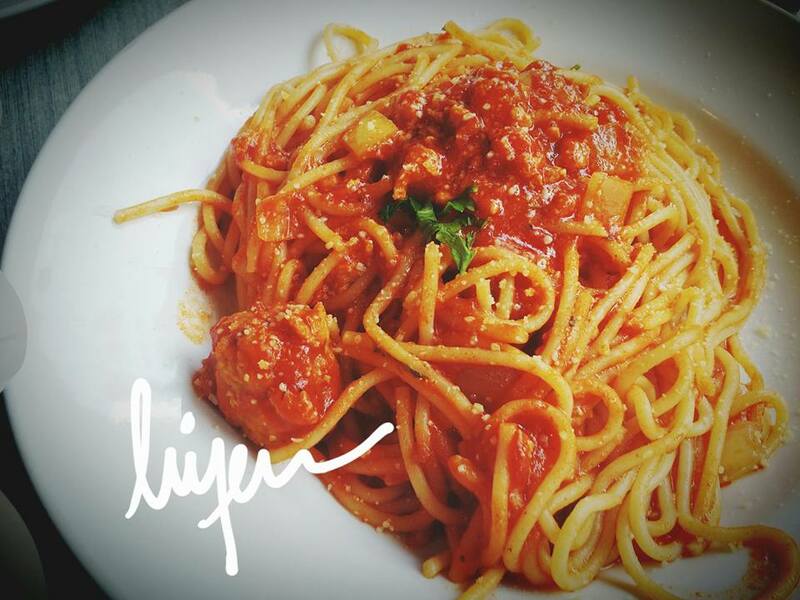 Their Chicken Bolognese is very delicious, saucy and rich. I like it and will prefer the pasta to be cooked al-dente. The side dish for this visit, we are able to try something new from Pizza Hut. They offer the creamy fondue with garlic bread. It looks pretty good with the presentation. 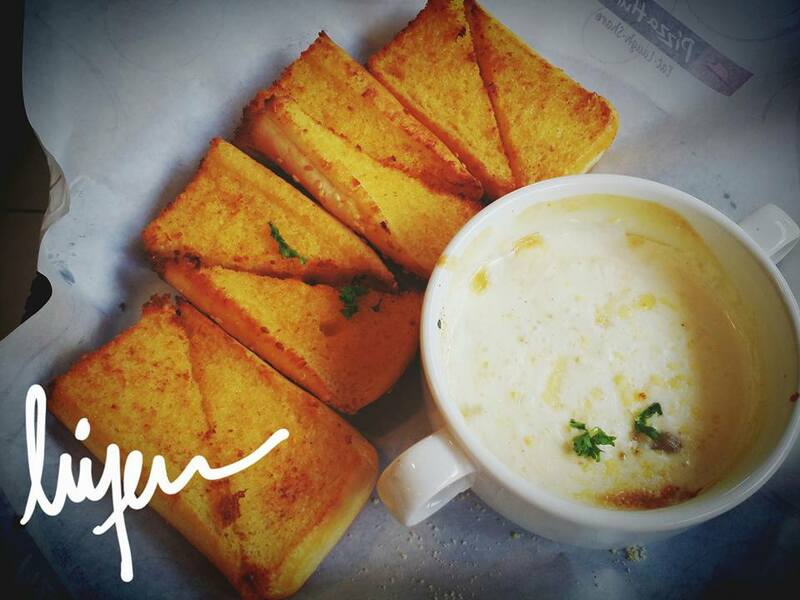 The creamy fondue is rich and it goes well with garlic bread. Eating the garlic bread alone, do not have much taste, unlike the traditional garlic breads. Address: 52, Jalan Jejaka, Taman Maluri, 55100 Kuala Lumpur, Malaysia.